Boosting the visibility of your content is imperative to success. Whether you choose to embrace an organic search strategy or rely on PPC campaigns to get the word out, driving traffic to your blog or website is the key ingredient to long-term improvement. After all, why would you create content if you know nobody’s going to read it? With a new year comes the opportunity to try new and better strategies. Improving the substance and visibility of your content should always be a primary goal, but now is as good of a time as any to double-down on this endeavor. Today, we’ll look at some simple content promotion strategies that you should definitely try in the new year. Sometimes, the best way to build new links and gain visibility is through flattery. One simple way to generate more visibility for your blog and its posts is to create recurring content roundups of high-quality content from prime websites within your niche. This can be done on a weekly or monthly basis (or whenever you feel like), and involves pinging your website with links to great content that is related to your blog or website’s area of focus. This then provides you with a meaningful topic of discussion when pitching to these websites. In some cases, they’ll give you a mention – which helps build backlinks and can drive traffic back to your website. 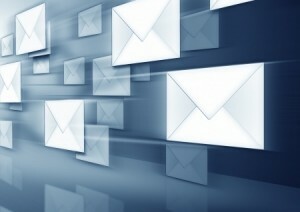 Regardless of your website’s size or reach, it’s never too early to begin building email lists. This is a key asset for many websites and blogs, and ensures that you can regularly reach audiences who have demonstrated interests (but who may not visit your website regularly otherwise). Whether you are pitching to them a content roundup, a new line of products, a special limited sale or something else entirely, mailing lists cost practically nothing to create and maintain. They provide targeted value and help you to get content and products in front of relevant users without spending money on digital advertising or grinding incessantly for visibility in search results. Content repurposing has long been a strategy of many brands that understand the value that any one piece of content can provide. As time passes, information may change or emerge, meriting an update of old blog posts and pages. When this happens, you can take advantage of the situation, making minor changes to the content and then promoting it all over again. This strategy helps you take advantage of an opportunity to promote content all over again without having to completely write new content. As such, it is highly recommended that you promote any repurposed content through all available mediums, including email and social media. Taking advantage of simple strategies for boosting content visibility isn’t difficult. With a new year upon us, pinging your website with revised content, interesting roundups and subscription requests can all help increase blog and website visibility where it counts. With these strategies in mind, you’ll have renewed vigor to promote your content to a wider audience and earn the visibility you deserve. Does Commenting on Local Blogs Help Your Site? Should You Delete The Old, Outdated Posts On Your Site?